Mike Tirico, a veteran ESPN sportscaster, is leaving the network for NBC after 25 years. One of the ESPN's long-serving sportcasters is leaving. 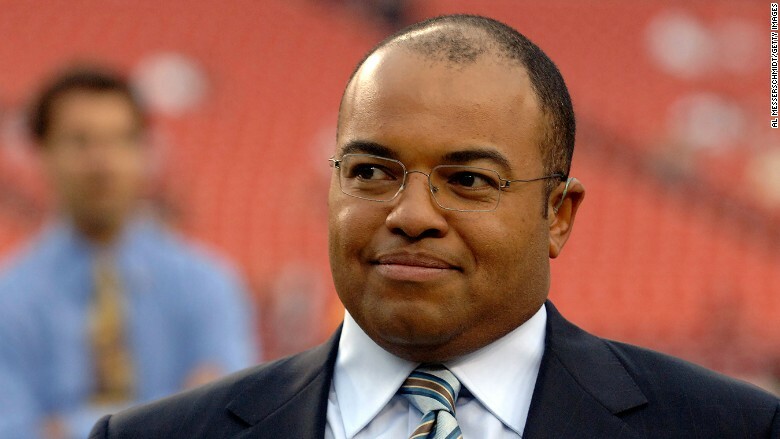 Mike Tirico, the current play-by-play announcer of "Monday Night Football," is headed to NBC, an industry source confirmed to CNNMoney on Monday. Tirico, who has been on ESPN's flagship NFL broadcast since 2006, will leave after his contract ends this summer. The move was first reported by Sports Business Daily. Tirico was a linchpin for ESPN. He covered multiple sports including NBA games, college basketball and golf coverage. He has also been a staple at the network since 1991. ESPN announcer Sean McDonough is the front runner to replace Tirico on "Monday Night Football," according to the source. McDonough signed a contract extension with the network earlier this year. Jon Gruden is currently the other commentator on the Monday night football broadcast. John Ourand of Sports Business Daily reports that Tirico is expected to be the lead play-by-play announcer on NBC's "Thursday Night Football." NBC, along with CBS, made a $450 million two-year deal with the NFL in February to air a portion of the Thursday night package of games. ESPN and NBC declined to comment. Tirico is the latest big name to leave ESPN. Established network personalities like Bill Simmons, Keith Olbermann, and ESPN Radio host Colin Cowherd have all left the network in the past year.